Interviews and career advice from the Foley artists of Bumblebee (2018), the supervising sound editors of A Quiet Place (2018) and the ADR mixer of Transformers: The Last Knight (2017). 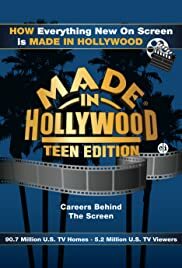 This diverse show includes actor and screenwriters along with directors inside stories on Hollywood interviews ad behind the scenes of the cast and crew too. To me this was a good show it shows and has good information not always the best but does include information so yes it passes by my standards. This is a pretty good show if you watch it. Also this is a good show if you just want to pass the time or get info to.